Choosing Best Flexography Option Part Process — Energy Sciences, Inc.
Everyone’s objective in business is to strive for efficient operations that maximize the profits for your company. Achieving those goals is easier said than done. The reason? Trying to figure out the best procedure and process can be tricky. When it comes to Flexography, electron beam (EB) flexography is the optimal way to print. With conventional flexography, the process comes close but doesn’t actually get you there. Your process strives for Gravure quality, lower solvent emissions, the elimination of volatile organic compounds (VOCs), and to be safe for food, but there are no guarantees when going with a solvent-based or other printing practice. EB Flexography allows you to achieve the highest possible quality, so you get that Gravure-like quality your customers want without the added Gravure expense. 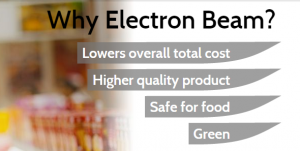 Solvent costs can be lowered and eliminated, there are no VOCs, and electron beam technology is always safe for use with food packaging. The key to understanding eBeam Flexography printing is more—more repeatable, shaper images along with color. When you want the best final product—your process should be electron beam flexography.